My competition season started with a victory at the Austrian Cup in Hallein. 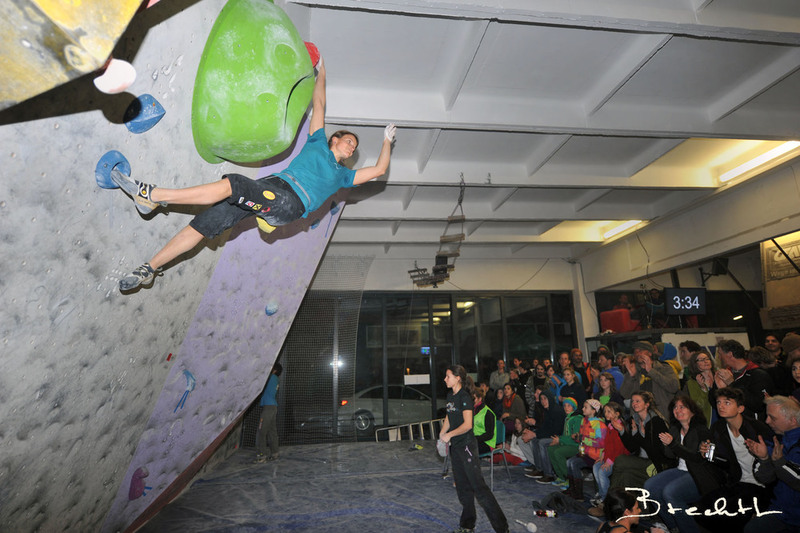 I really like to join this comp, because it is always well organized by Kilian's brother Leo and his team, has a cool comp wall and the boulders of Reini Fichtinger, Hiasi Woitzuck and Martin Klinger are usually fun to try. I also enjoy to have a competition at home before the World Cup season starts. Even if I have been competing for a long time it is good to get back into the routine. The women's field was strong this year with Katha Saurwein finishing second and Kathi Posch finishing third. 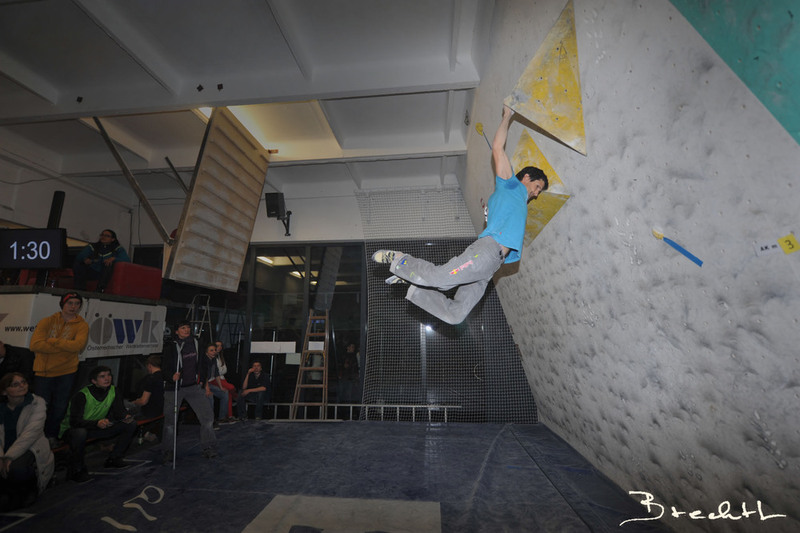 Jakob Schubert completed all four problems in the men's category and took home the win. Stew Watson and Kilian completed the podium. 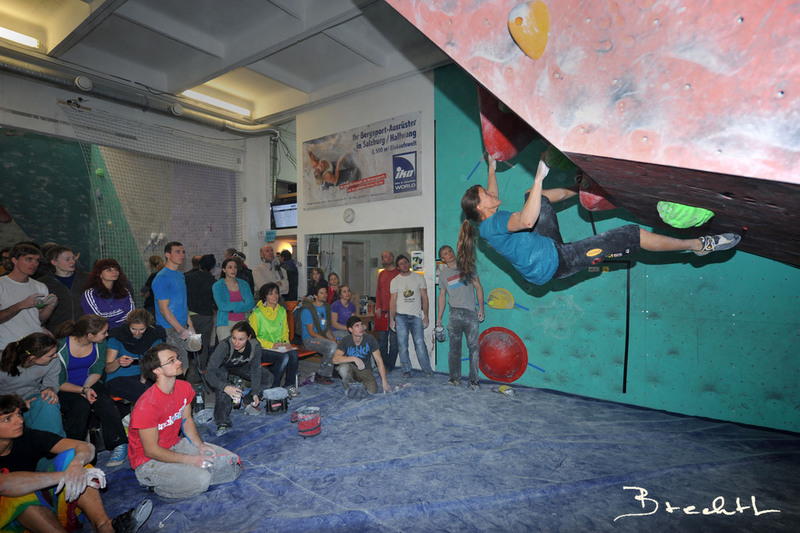 The competition in Hallein is not exclusively for adults, the youngsters can join too. It was good to see all these strong kids climbing and having fun. I am already looking forward to see some of them at the World Cups in a couple of years. 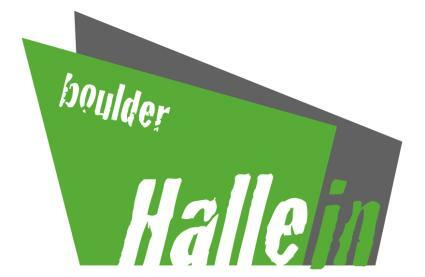 Posted in Wettkampf and tagged with hallein, boulder competition, a-cup, kilian fischhuber, jakob schubert, katha saurwein, reini fichtinger. March 10, 2013 by Anna Stöhr.